When you need new, fresh energies, Auto Mandarin Haze is the strain for you. We have selected the best Haze to give you a powerful, uplifting experience, along with a mild mandarin aroma on top of the haze undertones. This strain is surprisingly refreshing for the mind; it grows well on hydro, but reveals all the complexity of its fruity haze aroma only when properly grown in soil and carefully cured after harvest. 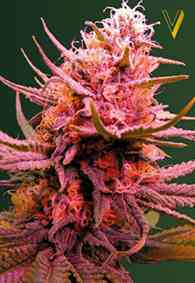 The flowering time is very short for a such a sativa strain. Overall, one of our favourites.